Best Cowboy Cookbook in the West? The North Dakota Cowboy Hall of Fame Cookbook is a substantial volume, filled with history, character, and a great variety of recipes. Cookbooks. Everyone eats, and most people like to eat. Some even Love To Eat. And then there are those who transform eating into a literary past time. Not only can cookbooks become literary works, they can become a glimpse in to organizations, geographical areas, cultures, and families. They can also be a source of fond reminiscence. What warms the heart more than food! A while back I came across a substantial cookbook at a second hand store. Because of it, I learned about the North Dakota Cowboy Hall of Fame in Medora, which is one of our favorite cowboy towns year ’round. Though it wasn’t well used and worn (someone missed a great opportunity by giving away this book!) the recipes contained within and the names and places conjured up stories! Exquisite! And A Grunting Dessert! Bananas Foster and Blueberry Grunt! Exquisite and mighty recipes from the North Dakota Cowboy Hall of Fame Cookbook. Doves in a Casserole, and with Chokecherry Jelly from the North Dakota Cowboy Hall of Fame Cookbook. Pickled Partridge and Pigeons, historic recipes from the North Dakota Cowboy Hall of Fame Cookbook. Peanut Butter Thumbprints,North Dakota Cowboy Hall of Fame Cookbook, recipe from Richardton, North Dakota. Desserts to Delight! North Dakota Cowboy Hall of Fame Cookbook. Recipes from western North Dakota. Grandma’s Beef Stew and Dakota Beef Brisket, North Dakota Cowboy Hall of Fame Cookbook. There’s a lot of history behind these recipes! Cream Can Dinner, A Rheumatism Cure, and Basque Sheepherder Stew, North Dakota Cowboy Hall of Fame Cookbook. What heritage! If you’d like to obtain a copy of this cookbook, check out Western Edge Bookstore in Medora, North Dakota or the North Dakota Cowboy Hall of Fame website. Got Recipes? Let us Know! Learn About the Most Popular Soup in Western North Dakota here: How Many Ways Can You Spell Nefla. Knoephla ! Where Can You Find A Very Healthy Home Cooked Meal? This Restaurant Is Almost Like Home! You’ll Find Great Coffee and Cowboy Hats Here! Our Surprising Find in Beach! 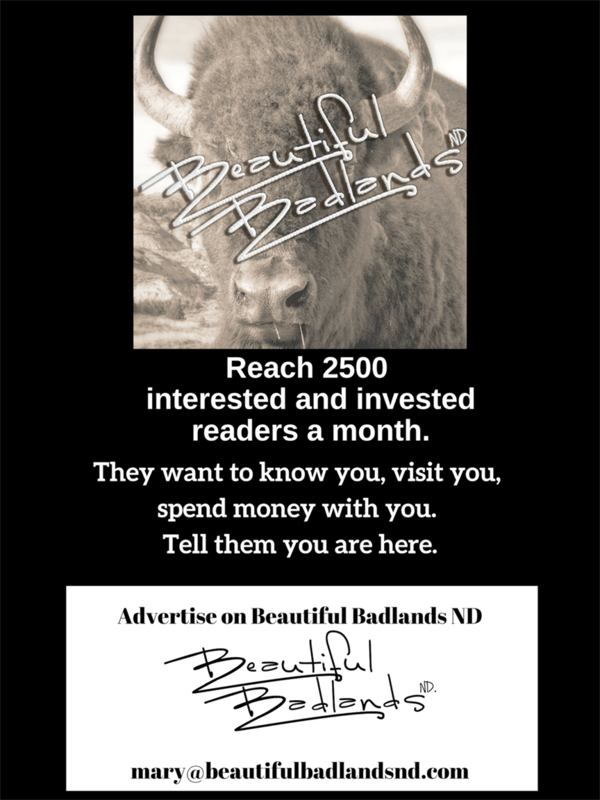 Join Us On Our Facebook Page As We Explore the Beautiful Badlands of North Dakota.